The bones are in place now, of the unfolding transformation of our house. My late winter nesting has proven fruitful. The living room, which has always been our most relaxing room, is now a haven of delightful tranquility. The blue walls the previous owner left us are the perfect match for the deep brown armoire we bought many years ago at an antique fair in Alabama. 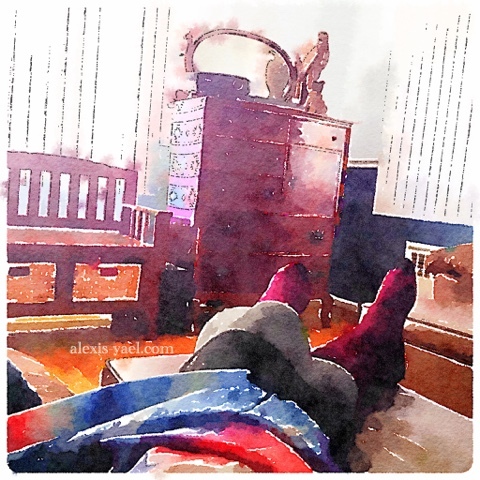 With my desk and drawers out of the dining room, a space opened up for the comfy reclining chair to make a reading nook, in the room Remy most often frequents (he has a desk on the opposite wall of the shelves, though most often he draws at the dining room table). It's amazing to me how the room has opened up. It's now as peaceful as the living room. The room that isn't finished yet is my new office, which is still sharing space with the guest bed. Right now, it's cluttered. There's way too much space taken up by furniture. Not enough open space. But it isn't finished. I have a plan. The black IKEA dresser I've been using as my desk drawers is going to be emptied and repurposed as a *gasp* clothing dresser. 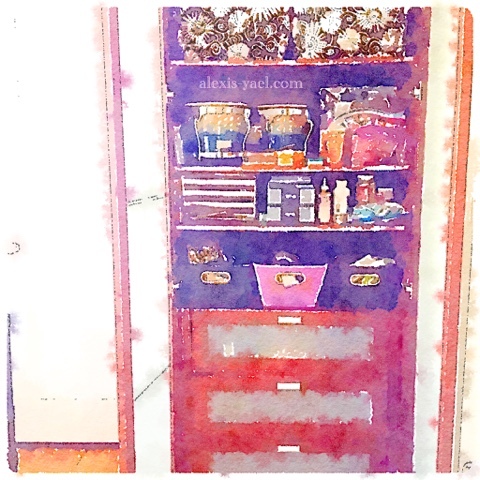 I have a big cabinet in the guest bedroom to hold all those supplies, plus the crafting stuff which had been scattered in the sun room and office. And after my in-laws' visit in the next weeks, I'll be shifting some more furniture between my office and the sun room. Which will be reshifted before our next guests arrive. Because it feels right to give guests a private room instead of a sun room, but we don't have to keep it a permanent guest room, as we were doing. It is easy enough to swap furniture a few times a year. And we'll see how it unfolds - it might be possible to make private space somewhere else (the basement?) for the guest room. This is how home-making unfolds. One moment at a time. 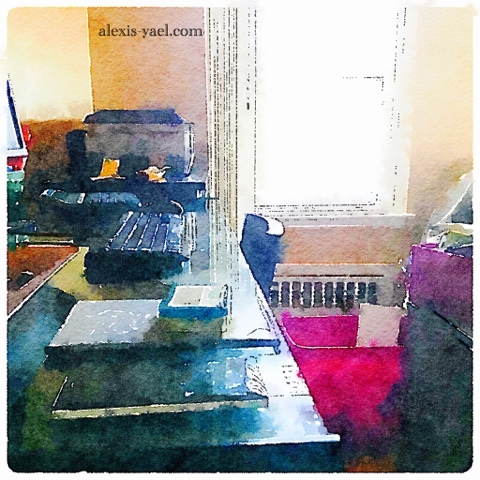 Each time I put thought and work into decluttering, rearranging or reorganizing, the space made unfolds a little more, til it is just right, for that moment. And when it starts to feel off, I begin again. 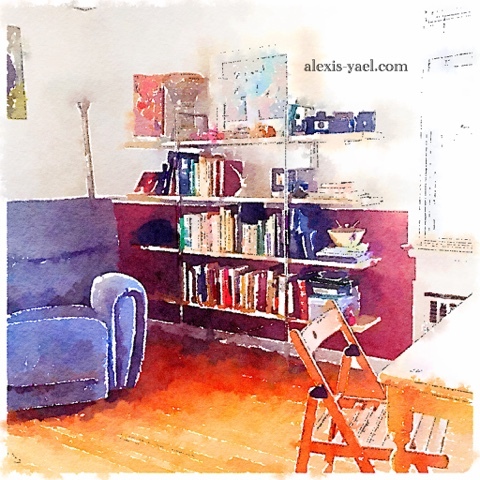 The next rearranging, decluttering, reorganizing.